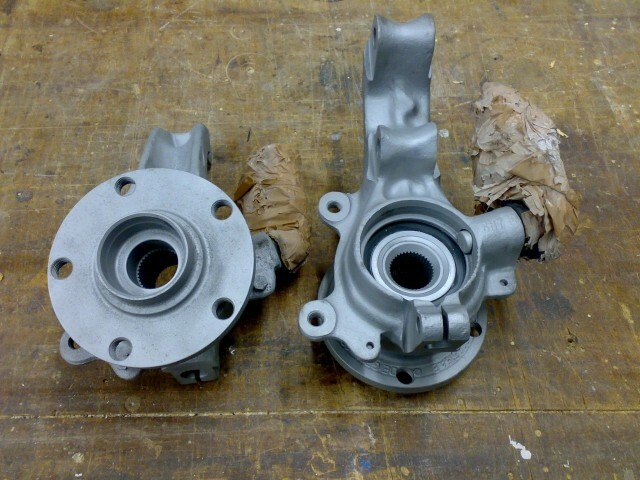 OR, A4 B5 rear hubs but with the complete brakes! the a4 rear hubs are wider! CV joints from an audi 80 b4 2.6 or 2.8 quattro. It must be quattro! FWD have different front cv joints! Front CV joints are ok on the rear too. 38 teeth on outside, 30 teeth inside. 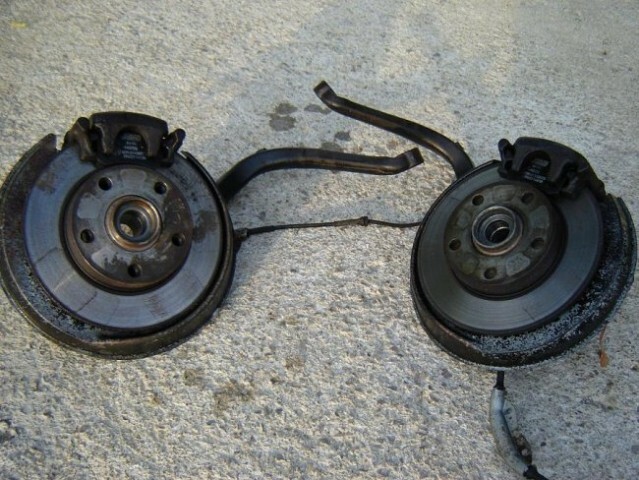 By changing only the CV joints, there is no need of changing the axles. The S2 axles DO NOT FIT to the compi gearbox and diff! They have different flanges! s4 is the same as a4 b5. only the CV joints measures are different a4 75 teeth, s4 82 teeth. for this money you can get used parts and save money. rears should be 260€, fronts 200€. used! B4 rear caliper, pads (same as B5) and handbrake setup bolts right onto this! Thank you very much for this info!! so you used the B5 rear hub with the B5 abs sensor? 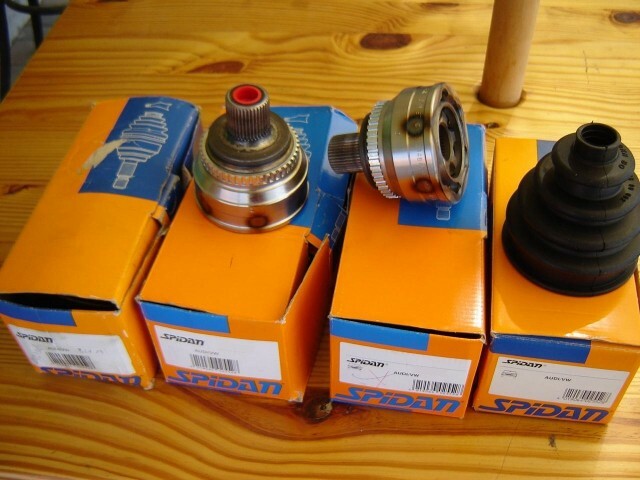 From where you can find CV joints for £26?? I just checked from local shop and they were +100€ each. Just finished conversion for my compi. Everything was bolt-on like supposed to be, but I had some problems with SKF CV joint in front. Seems that SKF VKJA 3013 is bit bigger, I had to grind housing little bit, otherwise joint got stuck when tightening hub bolt. Ah, I thought it was because of SKF joint, since I checked from catalog that Spidan has 88mm outer diameter, while SKF has 90mm.